/What should I do immediately after an accident caused by a defective highway? What should I do immediately after an accident caused by a defective highway? I recently wrote a blog on the law in relation to highway claims governed by the Highways Act 1980. 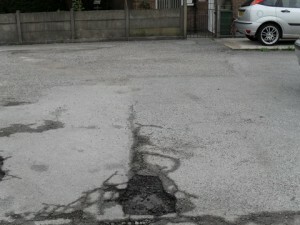 To be eligible to make a claim you will need to show some form of defect with the road or pavement in order to be able to hold the local council responsible. So what should you do after this type of accident? If there are witnesses, you should try to record their names and contact details. Let them know that your solicitor may be in contact with them to record what they saw. As with any personal injury claim it is essential that you seek medical attention for your injuries. This is for two reasons: firstly, so that you can be reassured and have the recommended treatment and, secondly, so that a contemporaneous record is made of the accident. Be sure to tell the doctor exactly how the accident took place. The two most common types of defect which cause highway accidents are potholes and raised paving stones. 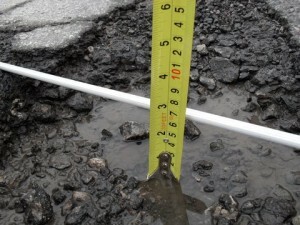 It is crucial to try to measure the depth of the pothole or height of the raised paving stone. The general rule of thumb is that for a claim to be successful the defect needs to be at least one inch or 2½ cm deep or high. If the defect is less than this, your claim is unlikely to be successful. 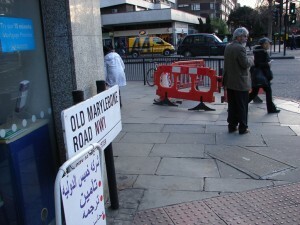 However, each case is different as a busy road in central London is vastly different to a country road in Cornwall. You should try to take a number of photographs of the defect as soon as possible. I normally advise my clients to go to the accident site with another person and a brightly coloured yardstick or ruler. When taking the photograph it is a good idea for the other person to put the ruler in or against the defect so the photograph shows the depth or height of the defect. It is also good to bring along a fifty pence coin which gives an indication of the size of the defect as that coin is exactly one inch or 2½ cm tall. Take about a dozen photographs showing not only the defect but also the general location of the defect as well as any features that can identify exactly where the accident took place as it is likely that the local council will want to inspect the defect themselves. Record exactly where the defect is located as the Civil Procedure Rules state that the council’s time limit to investigate the claim does not start until it is able to accurately locate the defect. Stating that the accident happened on “Church Street, Churchtown” will not be good enough whereas “on the pavement outside 52 Church Street, Churchtown opposite the supermarket” is fine. A Google map search is good for this. Finally, it is also a good idea to report your accident to the local council so they can make a note of the accident and repair the defect – but not until after taking those all-important photographs. 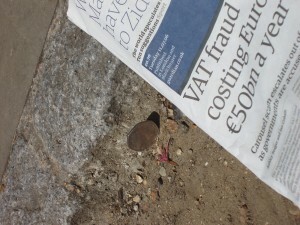 “Compensation for bereavement a postcode lottery” →← How do I know if I have a case due to a defective road or pavement? Mike Greenstein has been a solicitor since 1996 and joined Goodge Law in 2005 as a personal injury and medical negligence expert. What should I do immediately after an accident caused by a defective highway? Overall rating:	5	out of 5 based on 62	reviews.